Paper Delightz: Diner's Club Preview Day! I have a couple of samples to show you today, using some of the images from Season's Greetings. Beautiful CAS cards, Rose Ann! That large doily on your first card is a wonderful addition! Your sweet tree card is fabulous too! OH WOW! LOVING your cards with the new set! FABULOUS! 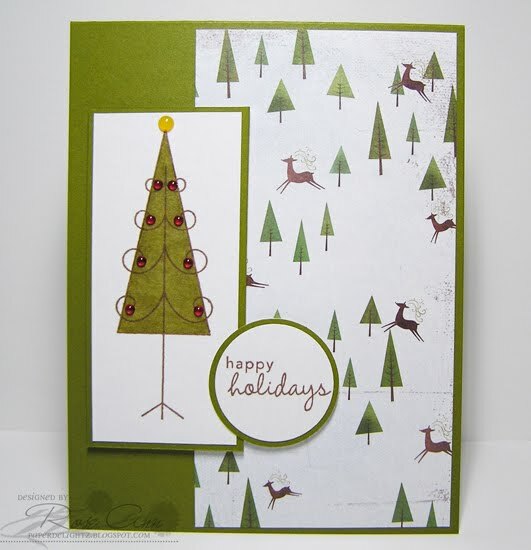 The tree paper works perfectly with the tree stamp. Nice job! So elegant! Love them both! These cards are fabulous. I love the doily and the reindeer paper. Two great cards here - one is so elegant, and the other is so fun and whimsical! Both are beautiful. Beautiful cards, Rose Ann. Lovin' the simplicity and elegance of your designs. Love both of your cards! 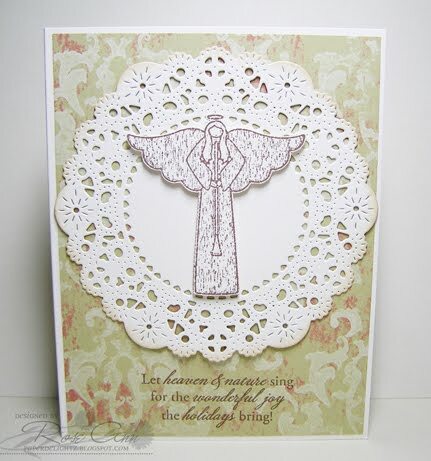 The doily and angel is really soft and pretty! Really captures the spirit of the holidays!